Join us for a special “watch” party at Stevenson Farms! 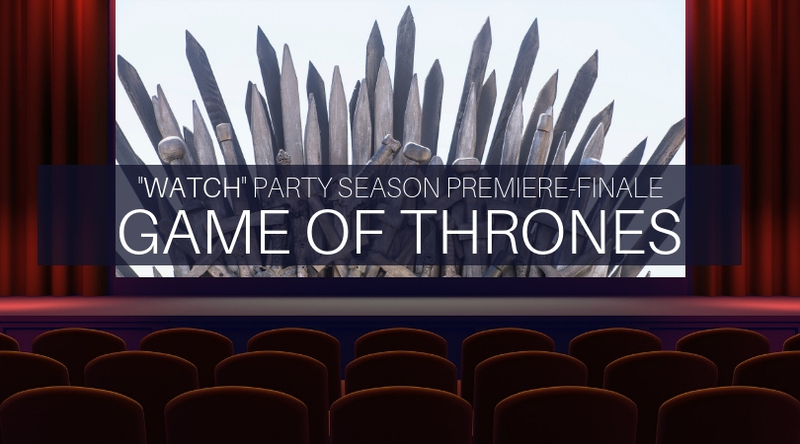 We’re hosting a special VIP viewing for the final six episodes of the Game of Thrones on our 15 foot movie screen complete with prediction games & prizes, special themed drinks, and a chance to sit in our replica “iron throne” for each episode (which one lucky winner will take home for the season finale)! On Easter weekend, we have a special “dragon” egg hunt. We will also be selling tickets for the pre-show prime rib dinner on the evening of the season finale (don’t worry… it won’t be a “red wedding” style dinner!). Season Premiere Sunday April 14th 2019 – doors open at 7pm. Show starts at 9pm sharp. Seating in our cinema is limited to 20 people. This is an RSVP ONLY EVENT. Extra seating will be available in pub viewing area on a smaller (but still pretty big) screen. Admission is free for the first 5 episodes but all guests must pre-book seats by sending a message to info@stevensonfarms.com with the number of seats they wish to reserve. We will reply letting you know if you will have VIP seats. This entry was posted in Uncategorized and tagged alliston, events, GOT by stfarms-Admin. Bookmark the permalink.